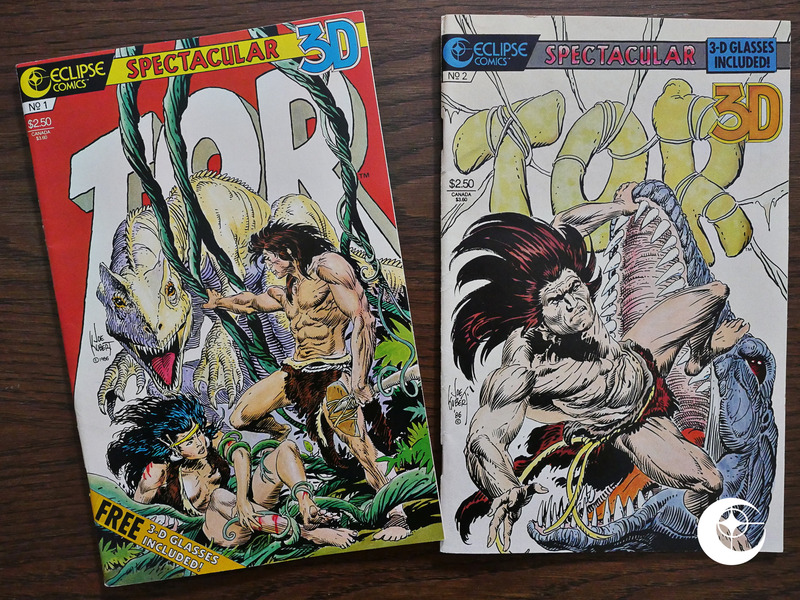 Tor 3-D (1986) #1-2 by Joe Kubert and presumably et al. When I read the title of this book I imagined it was going to be about Tor Johnson, the infamous 50s actor. 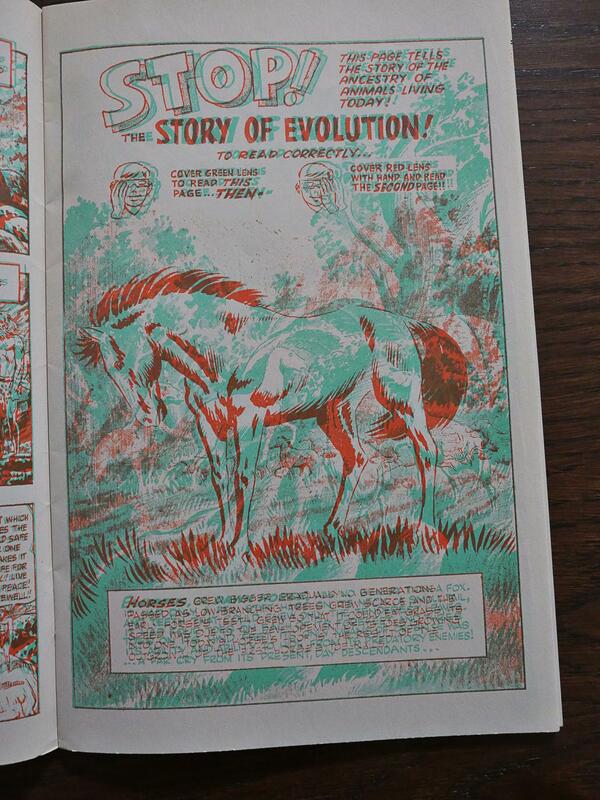 Instead it’s Kubert Tarzan rip-off. I mean, totally original series about a character living 10K years ago. And in three dimensions. 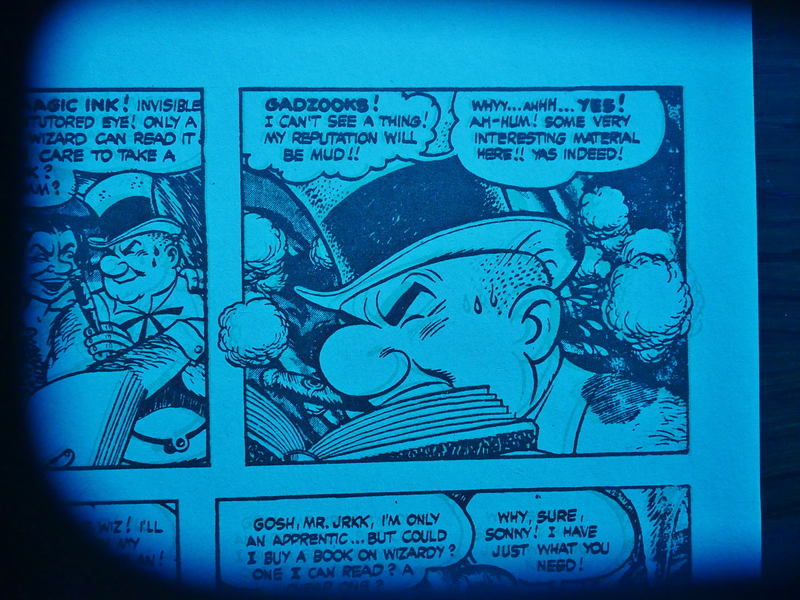 There’s no information whatsoever in this book about where this came from, but it’s obvious that it was created for a comic using a different size ratio, and that it was drawn with 3D in mind. The stories (if you want to call them that) are basically just excuses for drawing Tor fighting dinosaurs with things flying at the reader in 3D. It’s kinda fun. However, it’s rather… scratchy? Especially the red channel is splotchy and grainy. 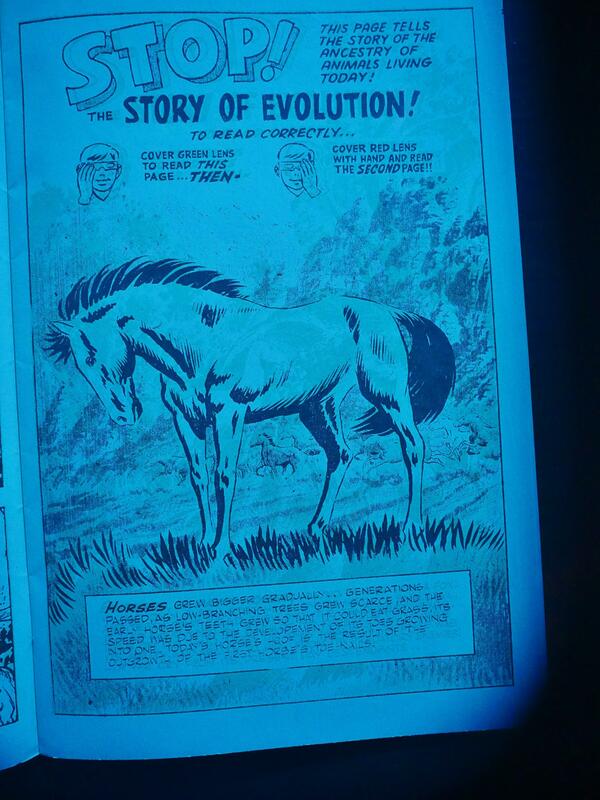 Has this possibly somehow been scanned/shot from a printed old comic book and then been sloppily restored and printed? Or did the original negatives survive throughout the years? There are no credits inside the book except Kubert’s signature here and there, but this doesn’t look much like Kubert. 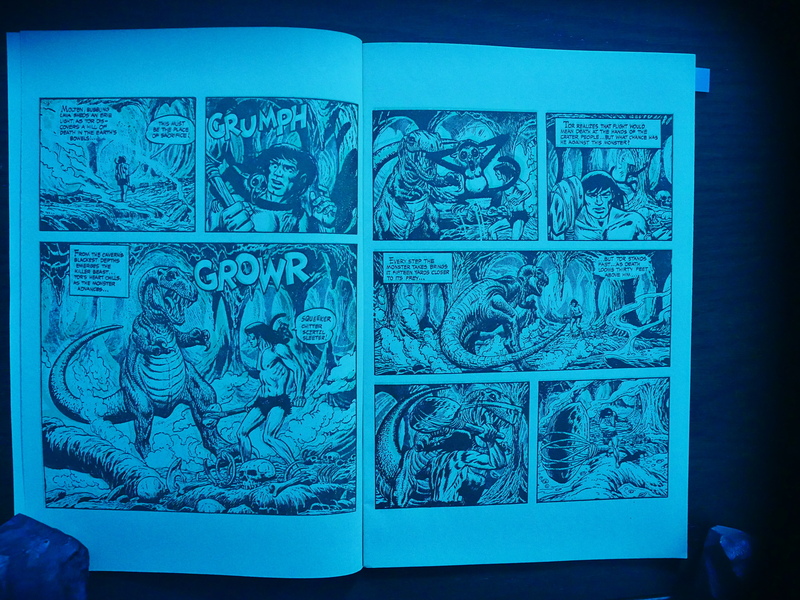 This is a fun thing I haven’t seen anybody do in a 3D book before: Completely different images in the two channels. My camera doesn’t like taking pictures of the red channel. Probably messes up the white balance. And here’s the combined page. Fun for the whole family. Aha! It was indeed a reprint of an old book. 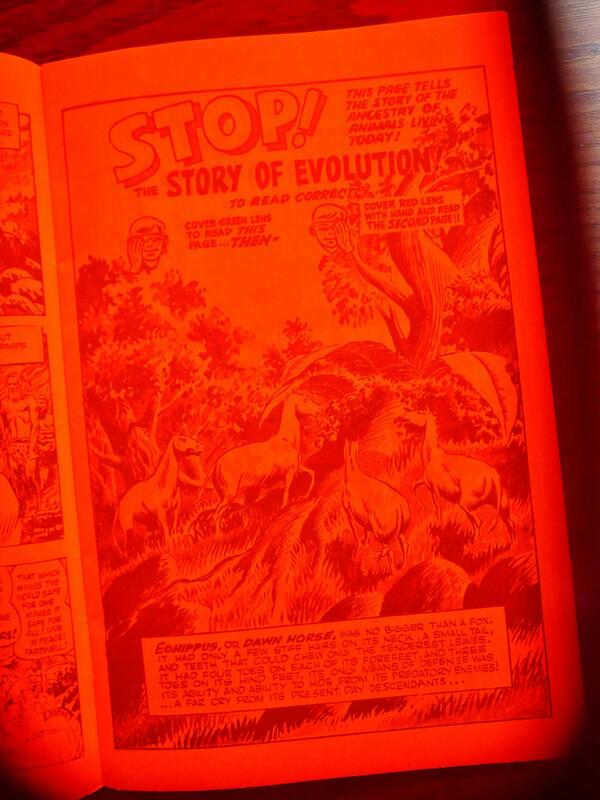 The cover there boasts that it’s the world’s first 3D comic book, and it was originally published in 1953.